We haven’t reviewed many Thunderkick slots so far, but it seems to be a good time to start. Thunderkick is a relative newbie in the world of online gaming, but that might be an advantage. They are not bound by a huge corporation and stockholders and just focused on making unique and innovative slots. *Unfortunately, Thunderkick slots are not available to US online casino players. Currently, these are the only Thunderkick games with RTP of 97% and higher. Naturally, each slot is different, but there are few common features that we can point. First, Thunderkick manage to create unique and uncommon themes. Take a look at Birds on a Wire below or check their Arcader slot. Most Thunderkick slot machines use a simple 3 rows – 5 reels layout, the amazing Fruit Wrap being the only exception. The number of lines is usually fixed and fluctuates between 10 and 25. These slots are very rich on various bonus games and symbols: sticky wilds, expanding wilds, free spins (which are usually accompanied by high multipliers) and more. This dry explanation doesn’t do justice to Thunderkick. We truly recommend that you try them out yourself. You can play some of them for fun here on SlotMachinesOnline.co or visit one of the casinos below and you try these slots for real money. Another gaming powerhouse. CasinoRoom is available in 20 languages and accepts every major currency world wide. 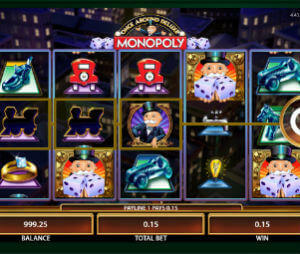 The casino offers 700+ games by NetEnt, Microgaming, NextGen, Aristocrat, Evolution, BetSoft, QuickSpin. New players can enjoy 20 free spins just for sign up, followed by 100% bonus up to €/$/£ 500 and 200 Free Spins. 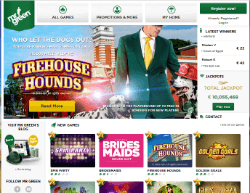 Winner of multiple awards, Mr Green is one of the best online casinos available today. They offer a tremendous variety of slot machines and other casino games, including Microgaming, NetEnt, IGT, NextGen and of course Thunderkick slots. 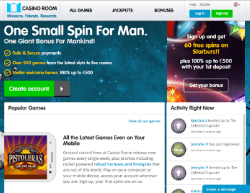 These days you can enjoy a $/€/£ 350 Welcome bonus + 100 Free Spins.